Communicate your message clearly to clients and staff with interactive systems designed to your specifications. 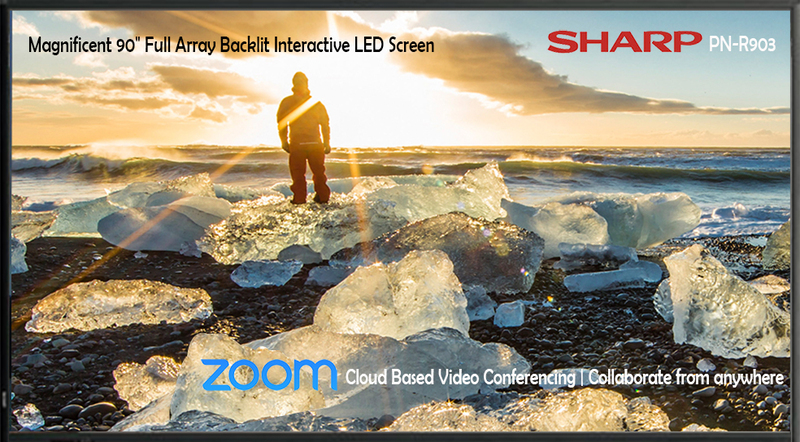 Smart Board Technologies will make a visual impact while video conferencing will connect you to anyone anywhere, saving you time and travel expenses. Coordinate operations, utilize resources, and view multiple data sources simultaneously to optimize operations and security. Interactive training will enhance learning and increase comprehension. Visual imagery makes learning up to 89% more memorable than words alone. Ignite brain centers using audio, visual, and interactive technologies. Keep your audience's attention while increasing retention. Coorodinte multiple sources of information including sermon outlines, music, video, written verse, and announcements into an easily followed format with large screen projection. LCD projectors, portable screens, and speakers make presentations easy to transport and available where ever you have a need. Ultimate Presentation Systems has been riding the technology wave for over 25 years. We have grown as the rapidly changing tech world has evolved. Let our expertise save you valuable time and money by delivering exactly what you need.